A team of scientists led by Rachel Warren of the University of East Anglia assessed the risk of reducing populations of animals, plants and insects by half with an increase in the average global temperature by 2100 by 1.5 and 2 ° C compared to the pre-industrial era. Climatologists examined the impact of climate change on ecosystems, in which there are 115,000 different species. The results showed that the difference in half a degree is of great importance for their existence. When the objectives of the Paris agreement are reached and the temperature is kept at 1.5 ° C, the risk of population reduction by 50% will be half as much as when it grows by 2 ° C.
For example, for insects, plants and vertebrates in the first case, this risk will be 6, 8 and 4%, and in the second – 12, 16 and 8%, respectively. In addition, when the temperature is increased by 3 ° C, half of the population is already deprived of 50% of all insect species that were taken into account in the study. 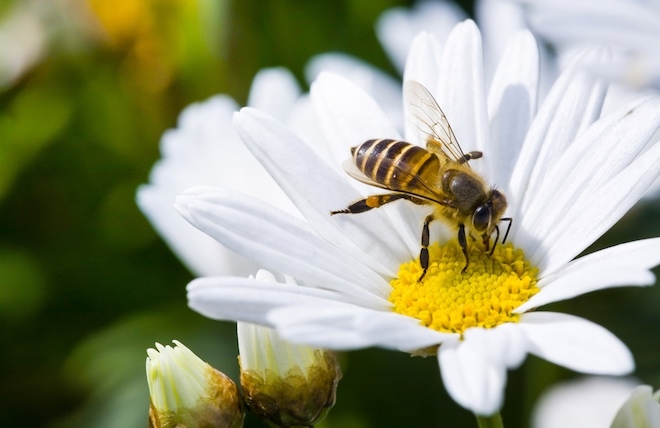 Scientists note that over the past 27 years the number of flying insects, including pollinators, has dropped by 76%.